Statue of Liberty – an Egyptian Peasant Lady? The Statue of Liberty monument is the most iconic monument in New York City. It stood over a century as a symbol of freedom and liberty. The statue with the pedestal stands 93 meters high and weighs 125 tons. Many sources say that its architect, Frederic-Auguste Bartholdi, was inspired by his French law professor, politician, and anti-slavery activist Laboulaye. At the conclusion of the American Civil War in 1865, elated by the success of the Union, Laboulaye suggested an idea of presenting a monument representing liberty as a gift to the United States. As commonly cited in many articles, Bartholdi was inspired by this and commissioned the building of the Statue of Liberty. In this article, an alternate explanation to the origins for the inspiration of the Statue of Liberty is explored. Frederic-Auguste Bartholdi traveled to Luxor, Egypt in 1855 and fell in love with the magnificent monuments left there by the Ancient Egyptians. He described the gigantic statues built out of a single piece of granite in Abu Simbel (the southernmost tip of Egypt) as “[those] granite beings of imperturpable majesty”. He returned to France and came up with a design of a toga-draped giant peasant woman who would stand in front of the Mediterranean entrance to the Suez Canal in the city of Port Said. This would commemorate the completion of the Suez Canal. The torch, called the Light of Asia, would point south bringing light to the people of Asia. The torch also had a more practical use of enabling the statue to be used as a lighthouse. Her other hand would be used to hold a jar called “Balfalis” which had been a symbol of good economic fortune. Bartholdi said that the statue would symbolize free navigation for all people of the world. She would wear a helmet with seven rays symbolizing the seven seas. 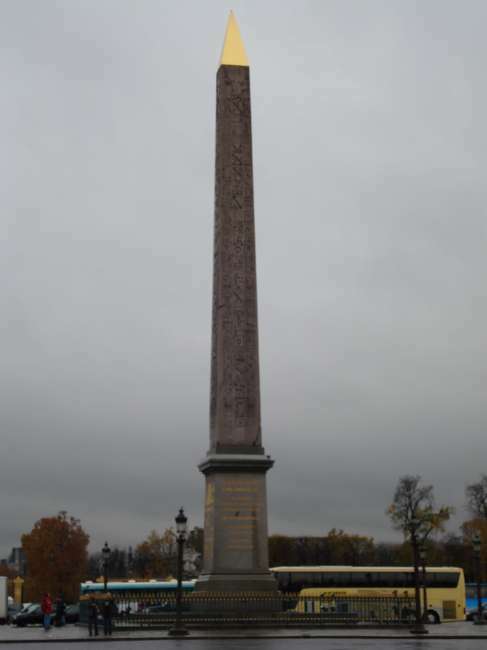 The words, “Egypt the Beacon in Asia” would be carved at the pedestal of the statue. The statue inauguration date was scheduled for November 16, 1870. Bartholdi presented his plans to the Khedive Ismail, the ruler of Egypt at the time. Although intrigued by the idea, Egypt at the time was in a middle of a financial crisis. The American Civil War (1861-1865) had caused the price of cotton to skyrocket thanks to the blockade of Southern cotton to the world market. Since Egypt was a major cotton exporter, it had a sudden influx of money. Much of this money was used to finance the construction of the Suez Canal, which was mutually owned and operated by the French and British. After the American Civil War ended in 1865, the price of cotton plummeted sending the Egyptian economy to near collapse. Unable to justify the financial costs of such a monument, Khedive Ismail declined Bartholdi`s offer. Instead, Bartholdi donated to the Egyptians a smaller and cheaper statue of De Lesseps, the chief engineer of the Suez Canal. It was built over a span of 30 and measured a mere 9 meters. Looking for a way to be able to sell his plans to the public, he turned to the Americans. The overall design of the statue was the same. She would still have the helmet symbolizing the seven seas. It was still had a lady wearing a robe and holding a torch in the sky. Her other hand, however, would now hold a tabula anasta, a tablet evoking the law, symbolizing a land that is governed by the rule of law. The date of the American Declaration of Independence, July 4, 1776 is inscribed upon the tablet. The torch would now be called the Torch of Liberty that “enlightens the world.” The robed female figure was now reinterpreted as representing Libertas, the Roman goddess of freedom. This is how Bartholdi`s Egyptian peasant woman got her American citizenship and became the Statue of Liberty! He first presented his design to the Americans in 1870 and proposed to construct the statue in the New York harbor. One major difference between the Egyptian and American versions is how the statue was financed. The original Egyptian version would have been financed by the Egyptian government. The American version, however, was meant to be a gift from the French people to the American people. Meaning, the French version was financed solely through charitable donations. Bartholdi went throughout the country selling his idea to the people of building a statue that symbolizes freedom of the people from one free nation, the French Republic, to another free nation, the American People. Funds for the statue were raised in France from all citizens ranging from children, to middle-class working adults, to wealthy citizens. Copper merchants donated all the copper needed to build the statue. This was the other major difference between the original Egyptian design and the American design. The original Egyptian design was to be carved of stone. The American version was purely metallic. This change was more due to practical reasons. Since the copper was already donated, it was more economical to construct the statue from copper. By 1879, about 250,000 francs had been raised. When copper chemically reacts with water, it turns to a blue-green color over time, giving the Statue of Liberty its color today. 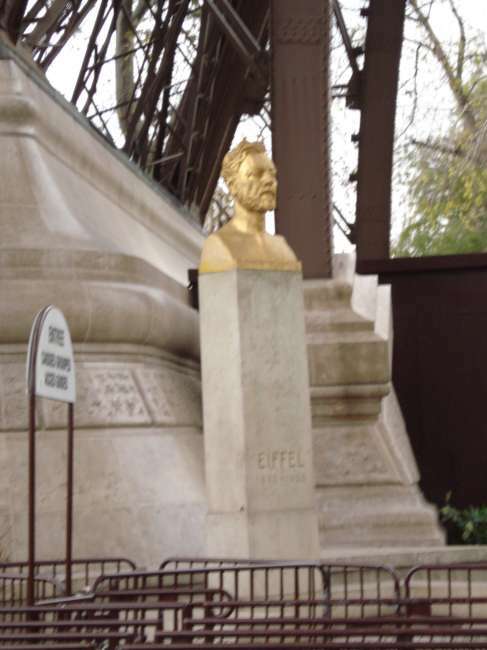 With the death of the original engineer in 1879, Gustave Eiffel, the future architect of the Eiffel Tower in Paris (completed in 1889), took over the project. He solved the problem of attaching the copper onto an iron base through an ingenious method that has never been attempted before. In order to accommodate the varying temperature between summer and winter in New York City (metal expansion and contraction with temperature), he devised a new system that would loosely connect the iron core and the copper exterior. The loose connection was made by a mesh of metal straps that were fastened between the iron core and the copper exterior. This also accommodated for varying wind conditions along the harbor. Anti corrosion material was used to cover the connection between the iron core and the copper exterior. The base of the pedestal of the monument, which was constructed by the Americans, went through its own financial difficulties as well. This was mostly due to an economic depression that persisted from 1873 to the rest of the decade in America. The design underwent several changes mainly to reduce costs. The final design resulted in a pedestal 27 meters high and made of concrete. In 1885, the project was about to be canceled. A publisher, by the name of Joseph Pulitzer of the “World” magazine went to the rescue and started an aggressive donation drive. He was able to get 120,000 donors, most of whom donated less than a dollar. His effort finally gave the final financial push that made the project possible. The Statue of Liberty was finally constructed in July 4, 1884 and was inaugurated by the American ambassador in France. It was later dismantled into pieces to be shipped to New York City to be set on the pedestal. On October 26, 1886 the Statue of Liberty was inaugurated by President Grover Cleveland. Although Laboulaye`s idea was materialized by Bartholdi, it was not Bartholdi`s original intention to do so. He merely wanted to construct a statue that he could sell to the Egyptian Khedive. It was clear that the original architecture of the Statue of Liberty started her life as an Egyptian peasant woman. Just as the colossal statues of Abu Simbel were built for the Egyptian gods of the time, the Bartholdi`s statue was built as a colossal statue symbolizing the human spirit, which the French of the late 19th century endeared so much. Regardless of its national origin, the Statue of Liberty was designated as a UNESCO World Heritage Site in 1984 for being a masterpiece of the human spirit, both in what it symbolizes and the effort that was required to construct such a monument. Khan, Y. Enlightening the world: the Creation of the Statue of Liberty, Cornell University Press: Ithaca, New York, 2010. Silverman, B., Frommer`s New York City 2009, Wiley Publishing: Hoboken, NJ, 2008.